Cleveland, OH –: BlackBeltHelp, the leading Help Desk support and Artificial Intelligence company, today announced that they are launching Artificial Intelligence for Higher Education to improve enrollment rates. Every year in the U.S., almost 2 million students apply to college. The application process itself is a complicated dance of school selection strategy including various questions related to programs, residential facilities, deadline management, transcripts, recommendations, extracurriculars, essays, etc. Students are supposedly shepherded through this all-important process by school guidance counselors. Yet the average higher-ed guidance counselor has a caseload of 476 students, leaving less than a half hour to “guide” each student. According to a recent report from National Student Clearinghouse Research Center, the enrollment rates are declining every year and institutions are constantly looking for ways to introduce more efficiency in the enrollment process at a comparatively lesser cost and maintain high student engagement. 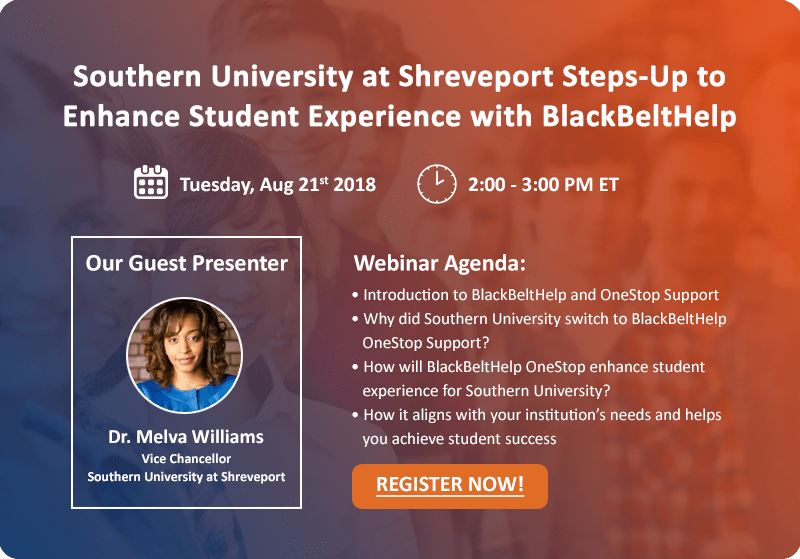 Recently BlackBeltHelp launched Artificial Intelligence for Higher Education to address the challenges in enrollment and admissions support. Anything simple starting with information on application process, deadlines, documentation and tuition can be addressed within seconds resulting in high level of engagement and returning students to either find out more or enroll into a course. Institutions that have interest in piloting Artificial Intelligence can enroll in BlackBeltHelp's Early Adopter program. This program provides selected partner institutions up to 100% discount on Artificial Intelligence product implementation. Contact us to learn more about Artificial Intelligence Early Adopter program.